Donald C. Marshall is Vice President and National Director of the Anti-Fraud Program for Zenith Insurance Company, a Fairfax company. He is Chairman of the State of California, Fraud Assessment Commission – appointed to the Commission by Governor Schwarzenegger in 2009 and elected Chair in November 2011. 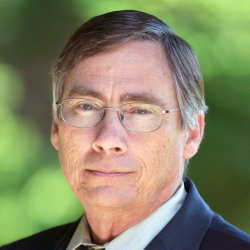 Don was reappointed to the Commission by Governor Jerry Brown in December of 2014 and again in 2018. In February 2015, Mr. Marshall received the Carrie Nevans Community Service award by the Department of Industrial Relations, Division of Workers’ Compensation for his work in combating fraudulent practices in the California workers’ compensation system. A police officer for 12 years, Mr. Marshall worked as a patrolman and later assigned to the detective division. Over the past 28 years, he has worked at a number of insurance carriers including Progressive, California Casualty, Nationwide (GatesMcDonald), CalFarm and Zenith. Mr. Marshall has also been qualified and has testified as an expert witness in insurance fraud. He has received his Certified Fraud Examiner, Fraud Claim Law Specialist and Accredited Healthcare Fraud Investigator designations, is a former member of the Executive Board of the National Healthcare Anti-Fraud Association. He has his BS degree in Criminal Justice Administration from California State University, East Bay.